Artificial intelligence (AI) research enjoyed an initial period of enthusiasm in the 1970s and 80s, but this enthusiasm was tempered by a long interlude of frustration when genuinely useful AI applications failed to be forthcoming. Today, we are experiencing once again a period of enthusiasm, fired above all by the successes of the technology of deep neural networks or deep machine learning. In this paper we draw attention to what we take to be serious problems underlying current views of artificial intelligence encouraged by these successes, especially in the domain of language processing. We then show an alternative approach to language-centric AI, in which we identify a role for philosophy. We would like to thank Prodromos Kolyvakis, Kevin Keane, James Llinas and Kirsten Gather for helpful comments. To represent in logical form the full meaning of complex natural language expression E as used in a given domain and for a given purpose, we will need a set of domain-specific ontologies together with algorithms which, given E, can generate a logical formula using ontology terms which are counterparts of the constituent simple expressions in E and which expresses the relations between these terms. These algorithms should then allow the representation in machine-readable form not merely of single expressions but of entire texts, even of entire corpora of texts, in which domain-specific knowledge is communicated in natural language form. To see how philosophy is already enabling applied science-based production along these lines, let us look at a real-world example of an AI automaton used to automatically generate expert technical appraisals for insurance claims.22 Today, such claims are validated by mid-level clerical staff, whose job is to compare the content of each claim—for example the line items in a car repair or cardiologist bill—with the standards legally and technically valid for the context at issue (also referred to as ‘benchmarks’). When deviations from a benchmark are detected by humans, corresponding amounts are subtracted from the indemnity amount with a written justification for the reduction. Digitalization has advanced sufficiently far in the insurance world that claims data can be made available in structured digital form (lines in the bill are stored as separate attributes in a table in a relational database). However, the relevant standards specifying benchmarks and how they are to be treated in claims processing have until recently been represented only as free-text strings. Now, however, by using technology along the lines described above, it is possible to automate both the digital representation of these standards and the results of the corresponding comparisons between standards and claims data. Compute a mathematical representation (vector) of the contents of the bill using logic for both textual and quantitative data. The text is vectorised using a procedure shown in equations (1)–(3) of Sect. 3.3.1 above, while the quantitative content is simply inserted into the vector. Recognise the exact type of bill and understand the context in which it was generated. This is done using the logical representation of the text, which is taken as input for deterministic or stochastic classification of the bill type (for example, car glass damage) and subtype (for example, rear window). Identify the appropriate repair instructions (‘benchmark’) for the bill by querying the corresponding claims knowledge base for the benchmark most closely matching the bill in question. Standard sets of benchmarks are provided by the original equipment manufacturers or they are created from historic bills using unsupervised pattern identification in combination with human curation. The benchmark texts are transformed into mathematical logic. Compare the bill to its benchmark by identifying matching lines using combinatorial optimisation. The matches are established by computing the logical equivalence of the matching line items using entailment in both directions: given a bill line (or line group) p and its candidate match (or group) q, compute \(p \vdash q\) and \(q \vdash p\) to establish the match. Output the justification for the subtractions using textual formulations from the appropriate standard documents. To achieve comparable results an end-to-end dNN-based algorithm would require billions of bills with standardised appraisal results. Yet the entire German car market yields only some 2–3 million car glass damage repair bills in any given year and the appraisals are not standardised. The technology is used for the automation of typical mid-level office tasks. It detects non-processable input, for example language resulting in a non-resolvable set of logical formulae, and passes on the cases it cannot process for human inspection. This is a core feature of our technology which may not match the expectations of an AI purist. However, applications of the sort described have the potential to automate millions of office jobs in the German-speaking countries alone. Human beings, when properly trained, are able to perform the classification described under step 2 spontaneously. They can do this both for entire artefacts such as bills and for the single lines which are their constituents. Humans live in a world which is meaningful in precisely this respect.23 The ability to classify types of entities in given contexts can be replicated in machines only if they store a machine-adequate representation of the background knowledge that humans use in guiding their actions. This is realised in the described system by means of ontologies covering both the entities to which reference is made in given textual inputs and the contexts and information artefacts associated therewith. The ontologies also incorporate formal definitions of the relevant characteristics of these objects, of the terms used in the relevant insurance rules, and so forth. The ontologies are built by hand, but involve a minimal amount of effort for those with expertise in the relevant domain (here: the contents of repair bills and insurance rules). These definitions are entailed by the bill and benchmark texts, and the latter are automatically processed into logical representations in the ontology framework without human interference. Exactness—it has an error rate of below 0.3% (relative to the gold standard obtained by a consortium of human experts), which is below the best human error rate of 0.5%. Such low levels of error are achieved only because, unlike a stand-alone stochastic model, the system will detect if it cannot perform any of the essential inference steps and route the case to a human being. Information security—the system is secure because any misreactions to perturbing input by its stochastic models are detected by the logical model working in the immediately subsequent step. Robustness—it is robust since it will detect when it cannot interpret a given context properly, and issue a corresponding alert. Data parsimony—it requires very little data for training, since unlike the sorts of suboptimally separating agnostic spaces resulting from stochastic embeddings, it induces what we can call a semantic space that separates data points very effectively. Semantic fidelity—the system not only allows, but it is in fact based on inference and so it can easily use prior and world knowledge in both stochastic (Bayesian net) and deterministic (logical) form. Chen, Y., Gilroy, S., Knight, K., & Jonathan. (2017). Recurrent neural networks as weighted language recognizers. CoRR, arXiv:1711.05408. 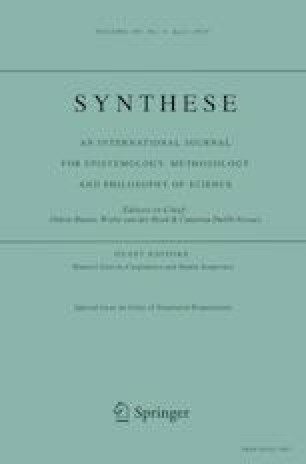 Feng, S., Wallace, E., Iyyer, M., Rodriguez, P., Grissom II, A., & Boyd-Graber, J. L.(2018). Right answer for the wrong reason: Discovery and mitigation. CoRR, arXiv:1804.07781. Jo, J., & Bengio, Y. (2017). Measuring the tendency of CNNs to learn surface statistical regularities. CoRR, arXiv:1711.11561. Kowsari, K., Brown, D. E., Heidarysafa, M., Meimandi, K. J., Gerber, M. S., & Barnes, L. E. (2017). HDLTex: Hierarchical deep learning for text classification. CoRR, arXiv:1709.08267. Moosavi-Dezfooli, S.-M., Fawzi, A., Fawzi, O., & Frossard, P. (2016). Universal adversarial perturbations. CoRR, arXiv:1610.08401. Vaswani, A., Shazeeri, N., Parmar, N., Uszkoreit, J., Jones, L., Gomez, A. N., Kaiser, L., & Polosukhin, I. (2017). Attention is all you need. CoRR, arXiv:1706.03762. Zheng, S., Wang, F., Bao, H., Hao, Y., Zhou, P., & Xu, B. (2017). Joint extraction of entities and relations based on a novel tagging scheme. CoRR, arXiv:1706.05075.